10% of the proceeds of the sale of this painting will go to support a worthy environmental cause. 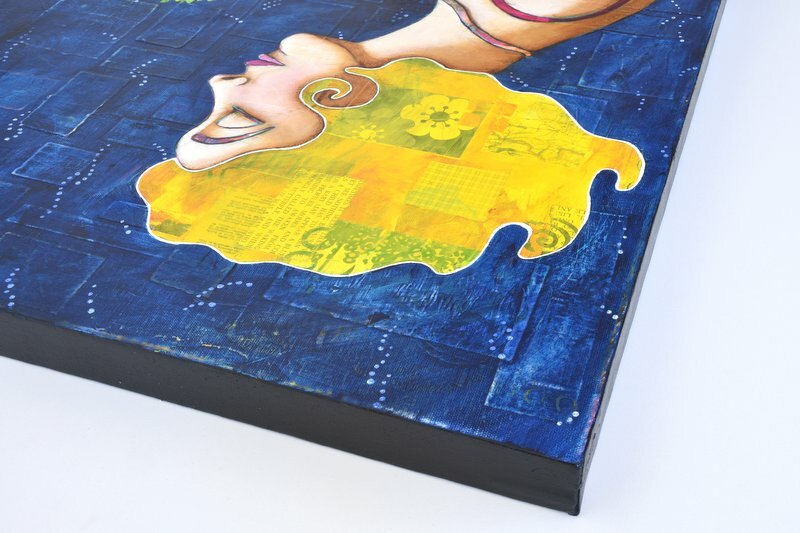 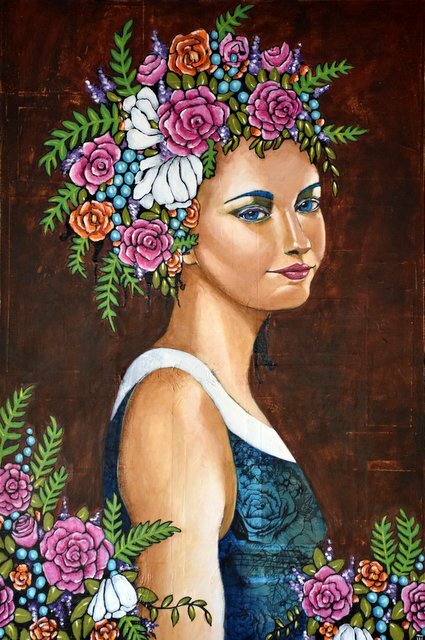 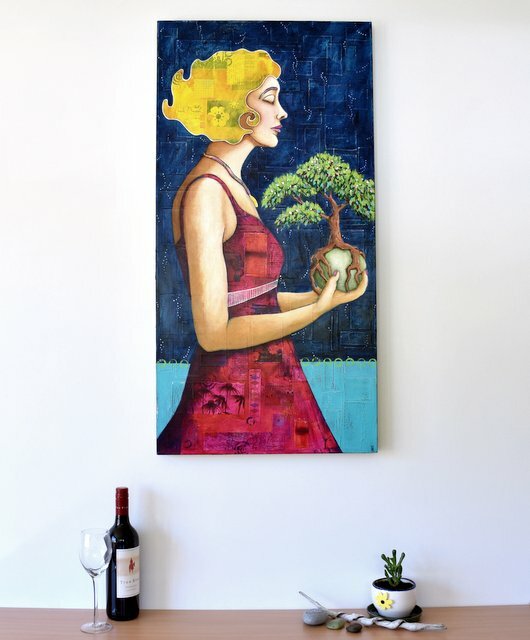 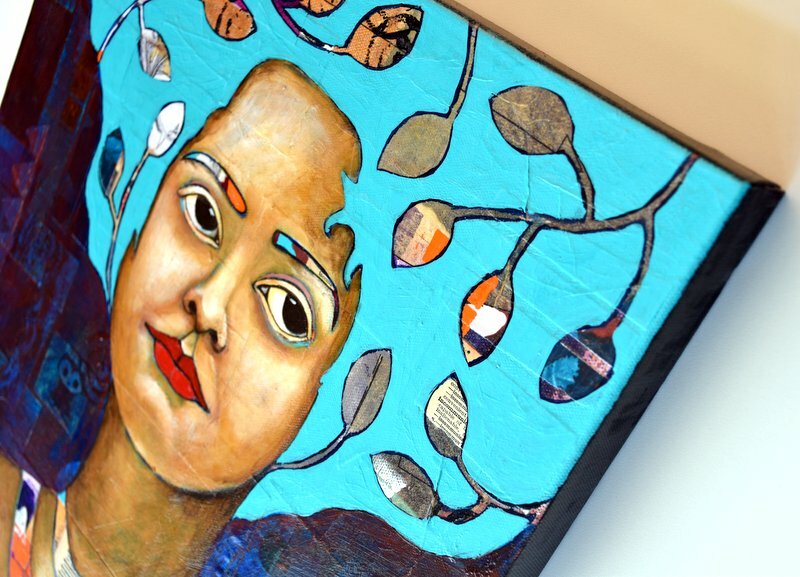 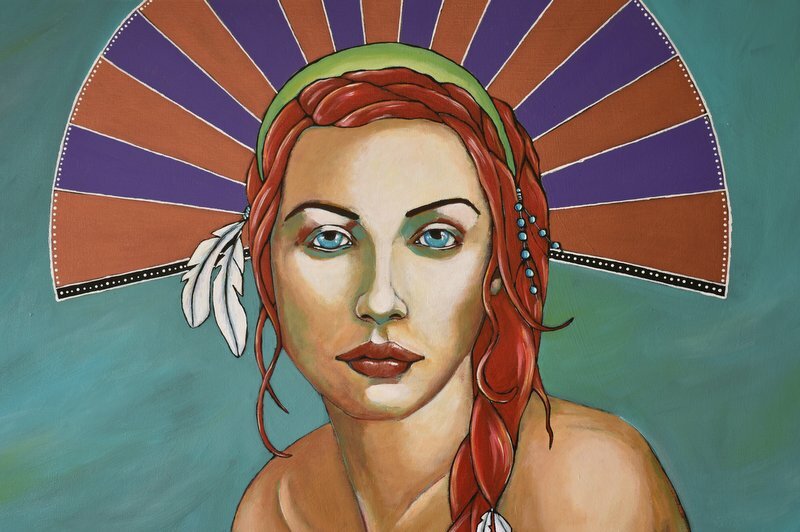 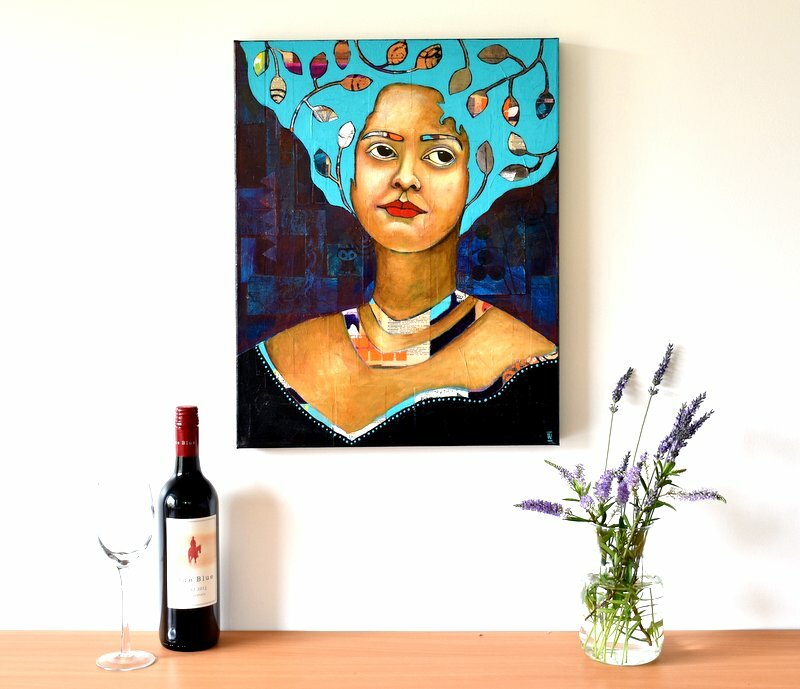 This is a mixed media portrait painting done in a contemporary, yet whimsical style. 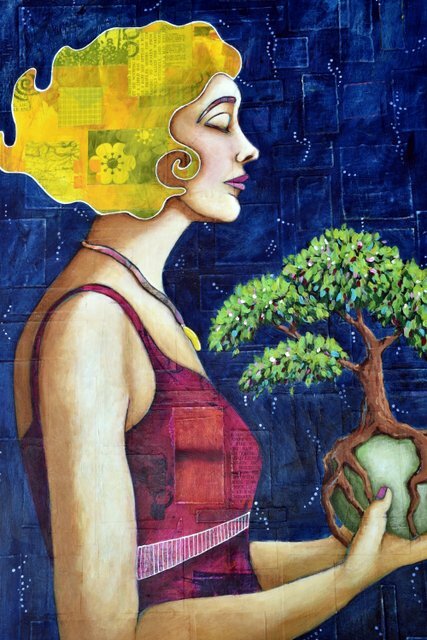 This painting is part of my Gaia series, representing the Mother Earth goddess. 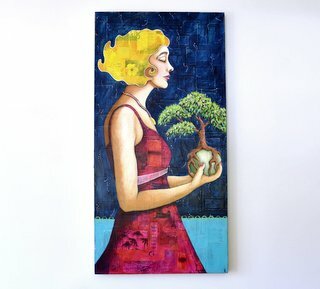 This goddess is holding a living tree as a gift. 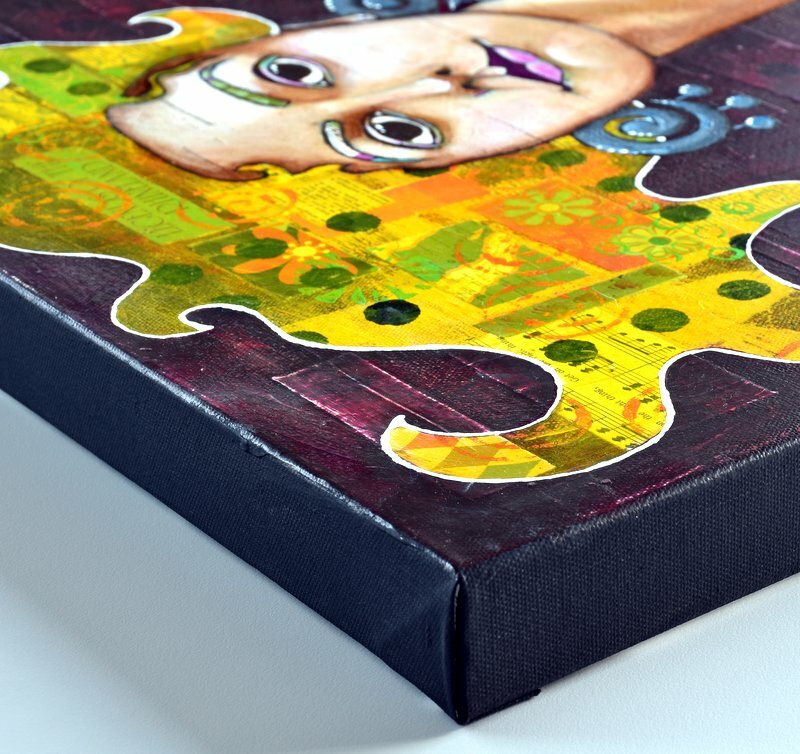 I started this painting with many layers of colour and collage. 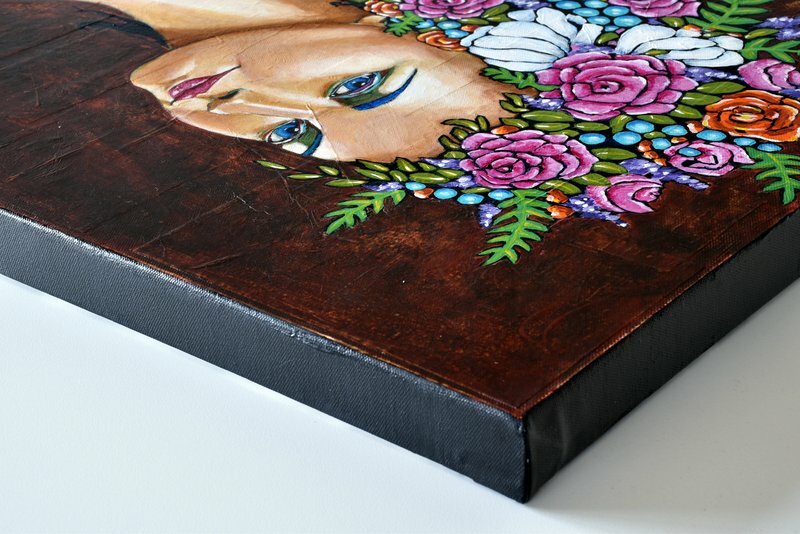 The portrait was then painted on top, but without losing the colour and texture of the first layers. You can see the collage showing through in her hair, eyebrows, necklace and dress, and as texture and layers of colour in the rest of the painting. 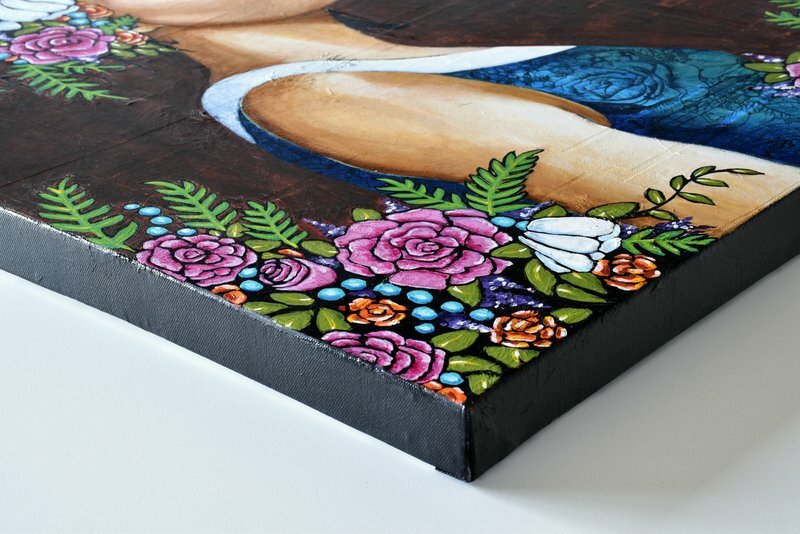 Side of the canvas are painted black. 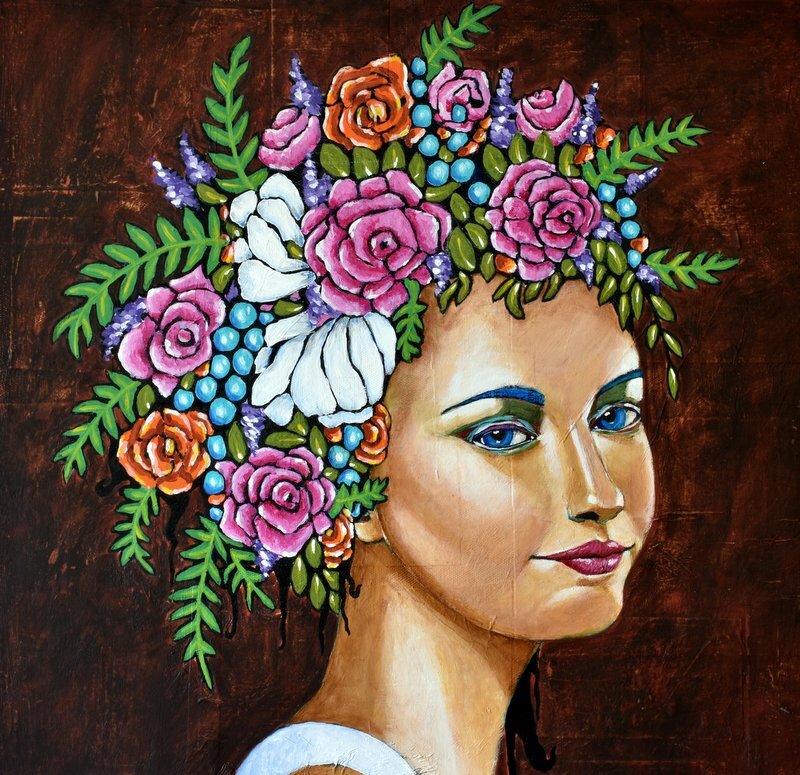 Part of my Gaia series of Mother Earth goddesses, this woman is surrounded by an abundance of flowers. 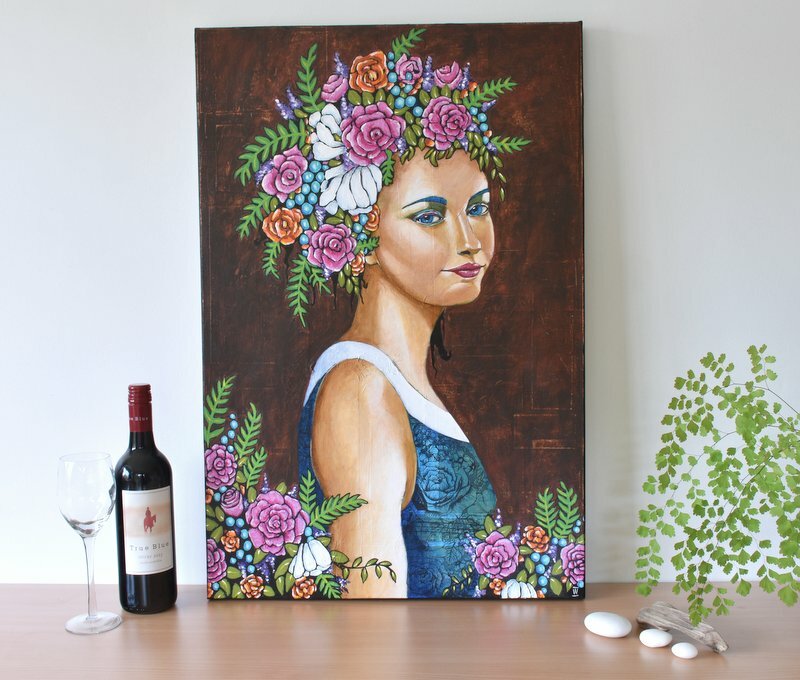 Although feminine and, with the flowers, romantic, this is still a strong, confident woman. This is a mixed media portrait painting done in a contemporary, yet whimsical style. 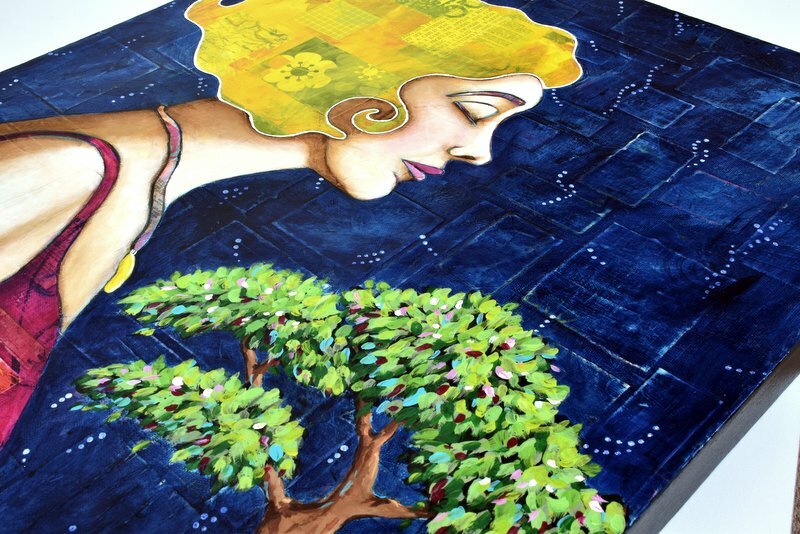 This is a beautiful woman, strong and confident, with sweeping, windswept blonde hair. 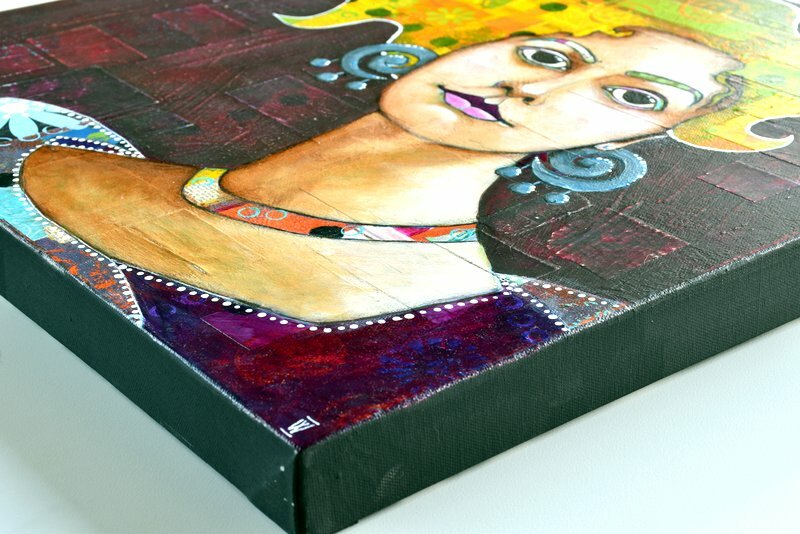 I started this painting with many layers of colour and collage. 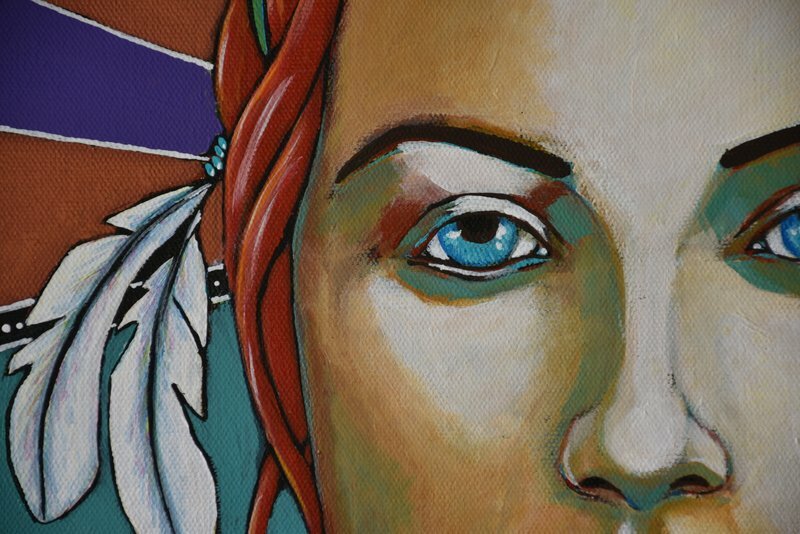 The portrait was then painted on top, but without losing the colour and texture of the first layers. 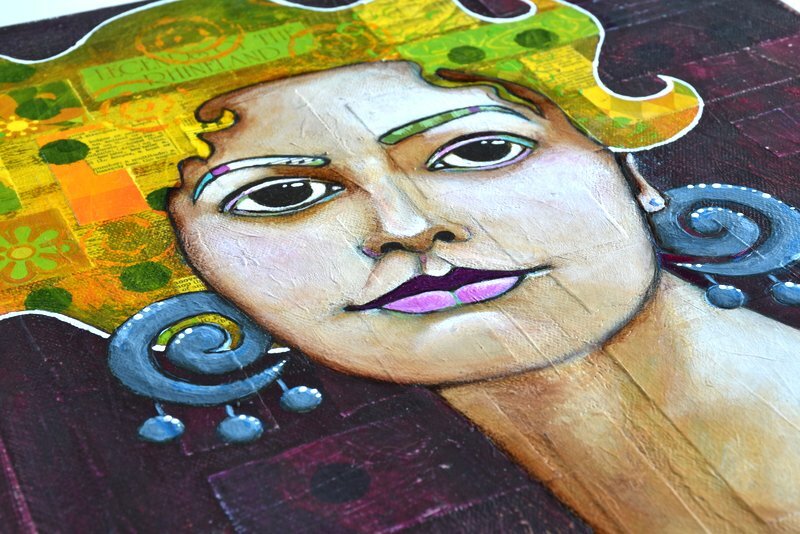 You can see the collage showing through in her hair, eyebrows, and necklace, and as texture and layers of colour in the rest of the painting. 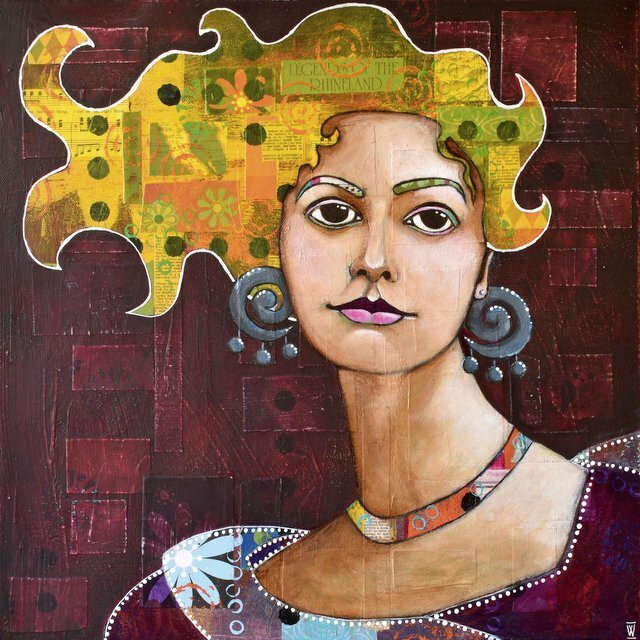 This is a mixed media portrait painting done in a contemporary, yet whimsical style. 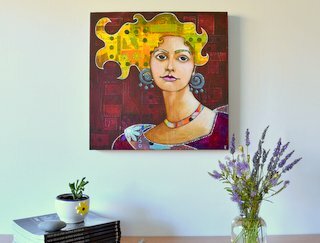 The beautiful woman in the painting seems to be pondering something, remembering something, hence the title of 'Reflection'. 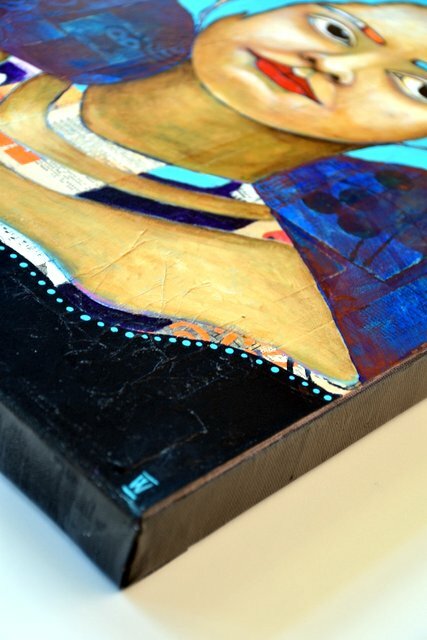 I started this painting with many layers of colour and collage. 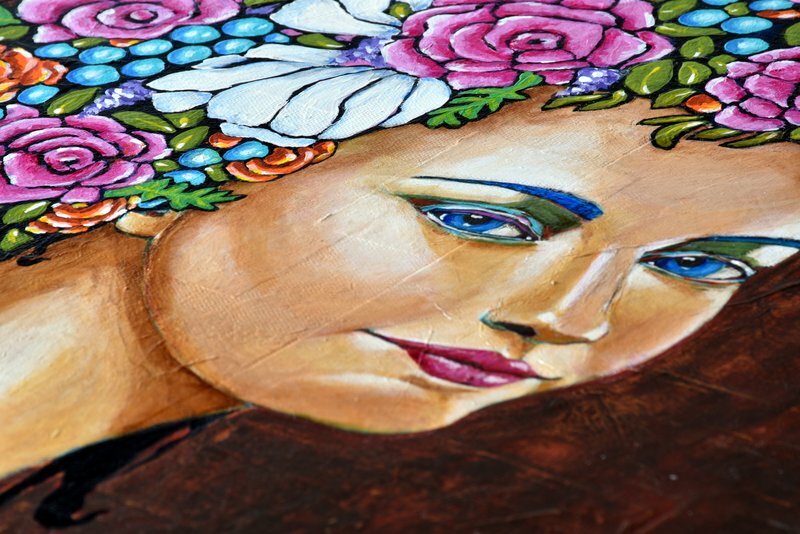 The portrait was then painted on top, but without losing the colour and texture of the first layers. 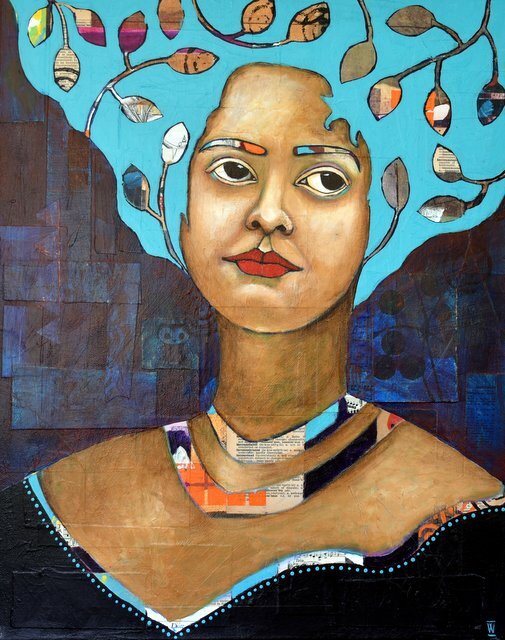 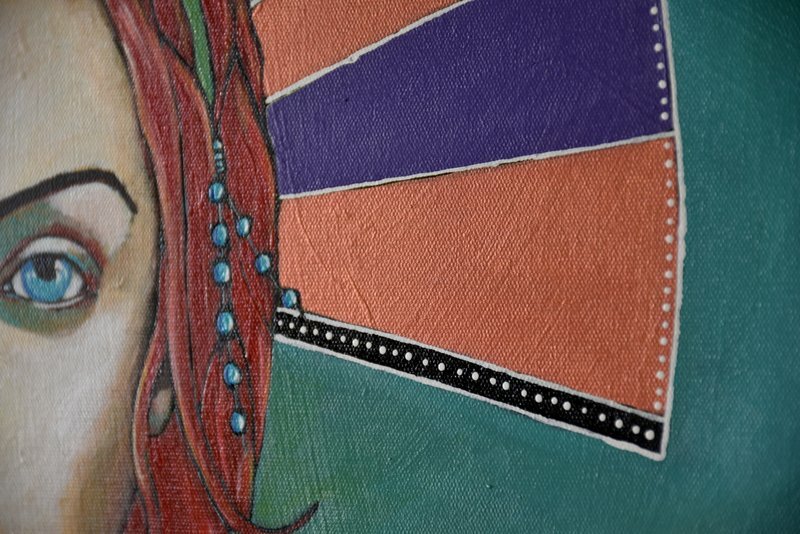 You can see the collage showing through in her hair, eyebrows, and necklaces, and as texture and layers of colour in the rest of the painting.